The lease of Russia’s Black Sea Fleet base in Ukraine’s Crimea will be extended for 25 more years beyond 2017. President Dmitry Medvedev and his Ukrainian counterpart Viktor Yanukovich signed the agreement after the talks in Kharkov, eastern Ukraine, on Wednesday. The document stipulates a five-year extension after the term expires. The previous agreement on the lease was signed in 1997 for 20 years. Former Ukrainian President Viktor Yushchenko described the possible prolongation of the document a factor “destabilizing” the situation in his country. 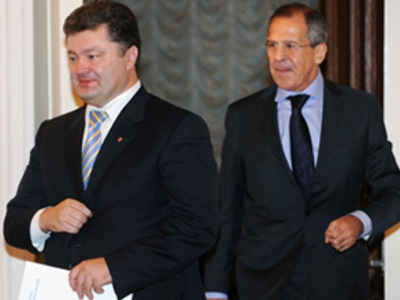 Yanukovich, elected president in February, has pledged to improve ties with Russia. The heads of state also signed a gas deal which stipulates a discount of $100 per 1,000 cubic meters at the natural gas price of $330 and a 30 per cent discount on other prices, RIA Novosti news agency said. Discounts will come into effect from April this year. Russia’s Gazprom plans to supply 36.5 billion cubic meters to Ukraine this year. Moscow will also invest $40 billion over the next 10 years in Ukrainian gas sphere. Ukraine transits about 80 per cent of Russian natural gas exports to Europe. In exchange, Moscow may be offered participation in Ukrainian energy projects and a stake in the country’s gas transportation system. The gas price issue has been remaining one of the most important topics in the bilateral relations. Russian Prime Minister Vladimir Putin met with his Ukrainian counterpart Nikolay Azarov a day before Medvedev’s trip to Kharkov. According to Azarov, the two governments have come to a “common position.” But the details of the agreement had to be discussed by the presidents. As the relations were chilly under former Ukrainian President Viktor Yushchenko, Medvedev believes the main task now is to fill all the gaps in relations on all levels. The meetings between the countries’ leaders are necessary to gain results, he noted, promising to pay a full-format official visit later. “There’s practically no doubt that this is a manifestation of a positive trend. We can be more or less sure that in the upcoming years the situation will be much better and much more productive than in previous years,” says Mikhail Dmitriev of the centre for Ukrainian Studies at Moscow State University, about the recent deals struck between Russia and Ukraine. “The deal shows that realistic forces have come to power in Ukraine and that they really reflect the interests of the Ukrainian people”, Konstantin Sivkov, vice president of the Academy of Geopolitical issues, told RT. “For the people of our two countries, it will mean the easing of tension, the strengthening of good neighborly relations with each other and the radical increase in the possibility for mutual economic development,” he added.